Golazo Soccer ['Golazo'] runs Major League Soccer (MLS)'s F.C. Dallas Academy in the RGV and has built the Rio Grande Valley's first two and only World-Class indoor and outdoor soccer stadiums. We are located 5 minutes from Downtown McAllen directly off Highway 281 at the E. Owassa exit at 5704 N. Gumwood Dr., Pharr, TX 78577 making us easily accessible to everyone in the McAllen area. Golazo provides children, adults, amateurs and professional soccer players with year-round, fully air-conditioned, world-class facilities, training and play, including seasonal leagues and tournaments in order to build skill levels, provide healthy competition and give guidance that will enhance our community in a clean and fun environment. Youth can participate through our team leagues, Relampago tournaments, individual recreational leagues or by joining our F.C. Dallas RGV competitive soccer club, run by former professional F.C. Dallas and U.S. Men's National Team & World Cup Team players. We are a complete community infrastructure project and we have created a public charity, Golazo Soccer Association 501c3 (dba BeautifulGoal.Org) in order to provide soccer infrastructure and grants to underserved local youth soccer players. 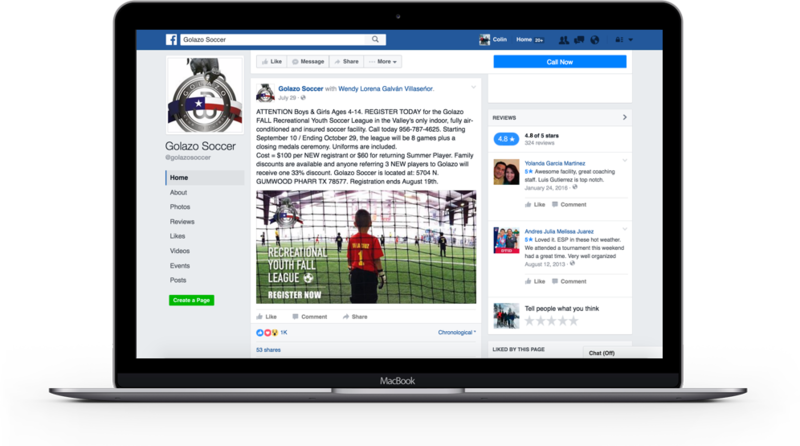 Golazo has a full staff of professional and certified coaches providing the highest levels of service for a total soccer experience. What you will find at Golazo is any training, any practice, any competition and any soccer-related event available to anyone in some shape or form. Our goal is to cultivate the RGV soccer talent at all levels and provide a fun, safe and secure way for youth and adults to enhance their skills and opportunities for their and the community’s long-term benefit. 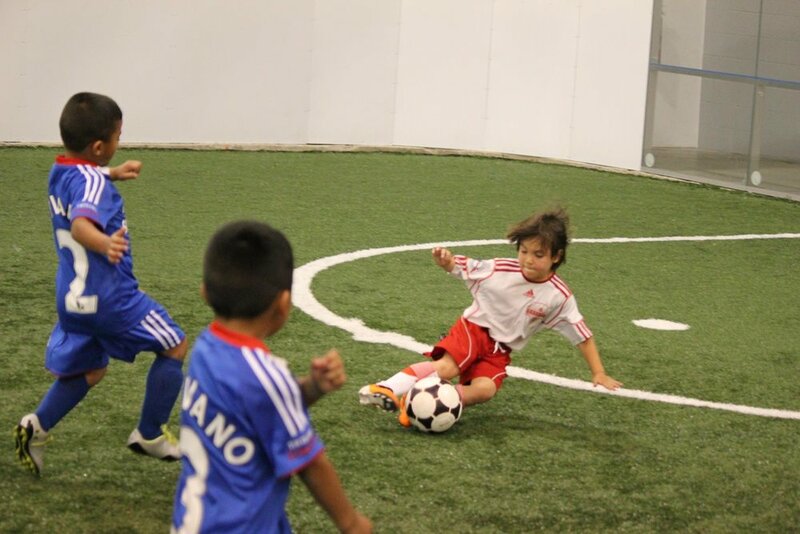 Come visit our facilities to see the Golazo experience firsthand and please feel free to contact us about registering for play, tournaments or training camps today. Golazo Soccer is committed to strengthening our RGV community through its public charity BeautifulGoal.Org which builds soccer infrastructure and gives scholarships to underserved local youth. Help support out local communities today. Off of Highway 281 and East Owassa Road approximately 5 minutes from downtown McAllen, TX.